JMT upgraded the HVAC system, designed a secondary power distribution system, and designed a new interior lighting system for Baltimore-Washington Thurgood Marshall International Airport's new Terminal BC connector and existing Concourse C.
The Terminal BC Connector was a critical first segment of the BWI Thurgood Marshall Airport’s plan to create a secure connector system with the goal of connecting all concourses post security. 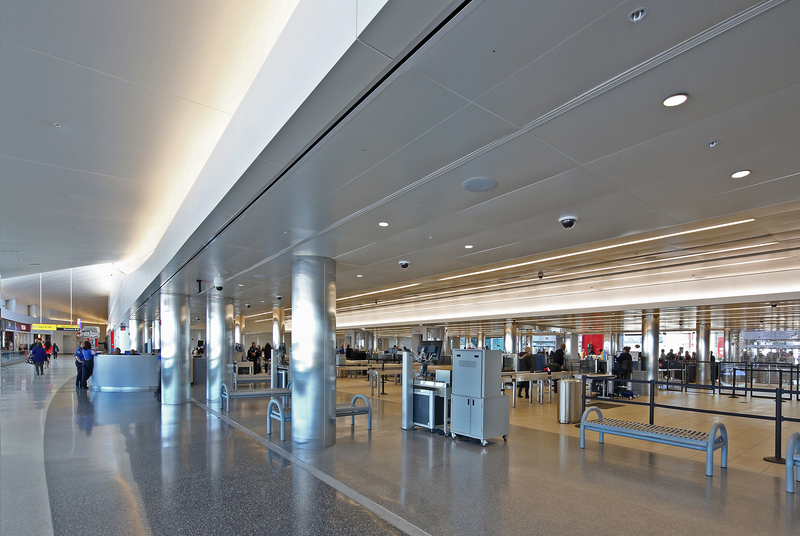 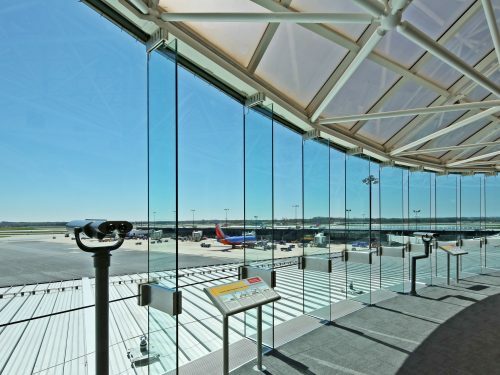 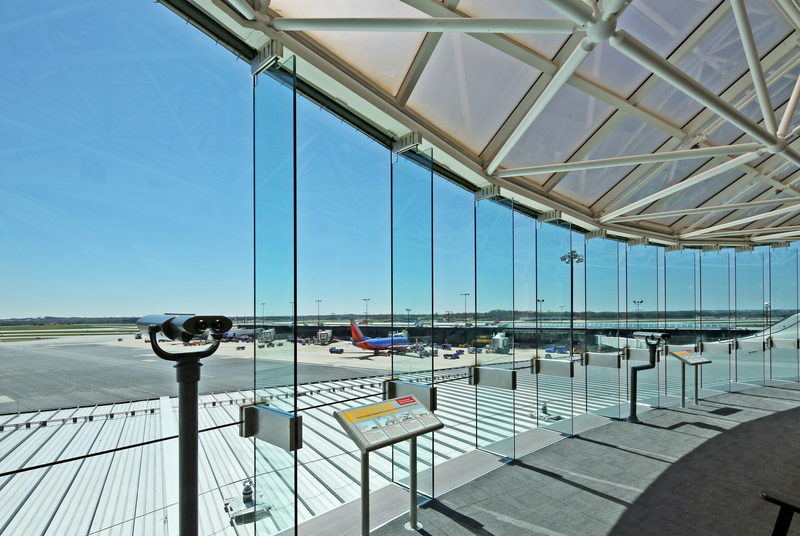 This project included designing a new TSA Security Checkpoint, TSA office space, moving walkways, post security concessions area, and modifying the baggage handling systems. JMT provided significant mechanical, electrical, plumbing, and security system engineering services as well as the design for 50,000 SF of the concourse modernization project. 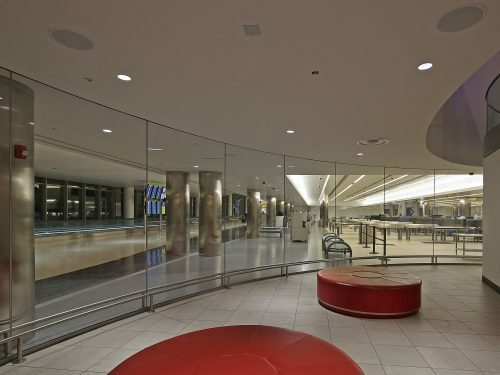 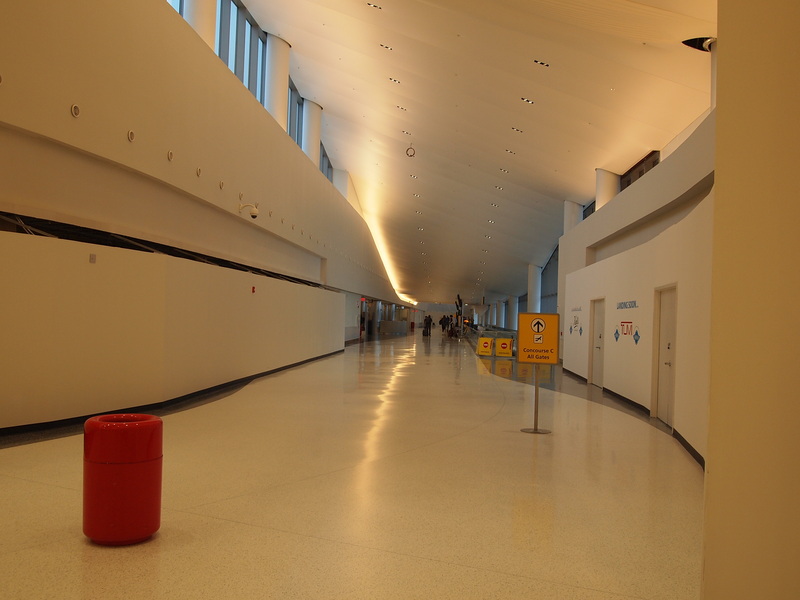 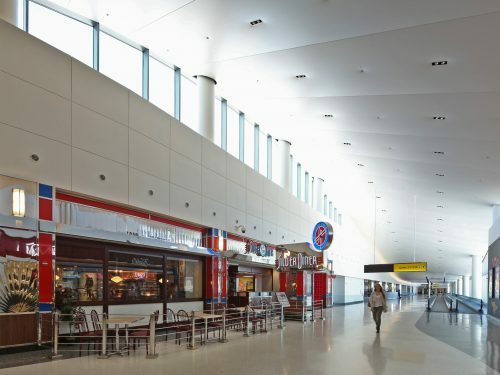 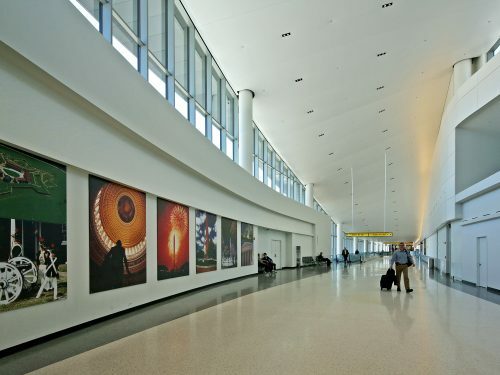 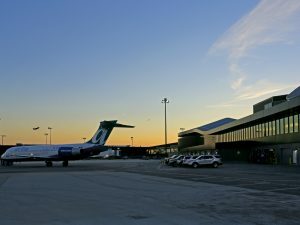 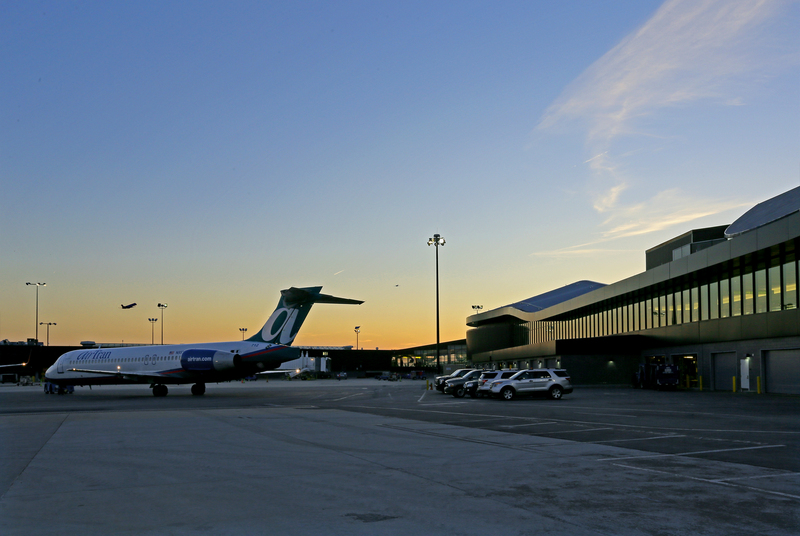 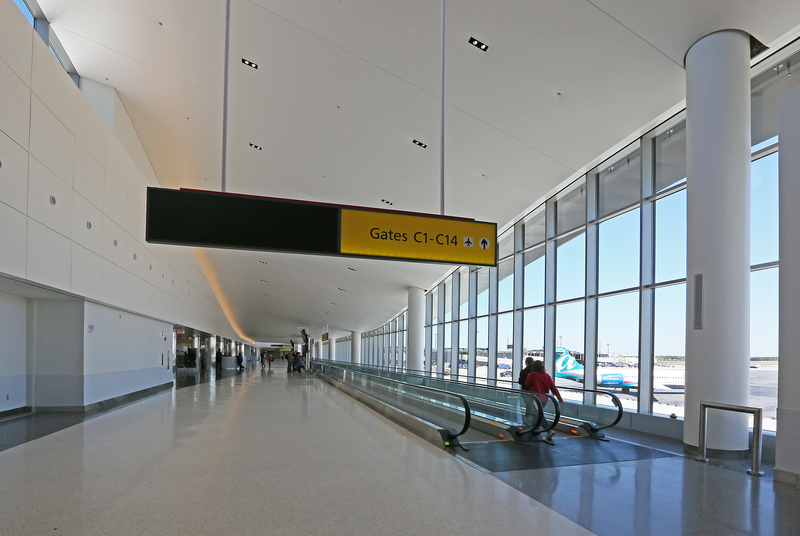 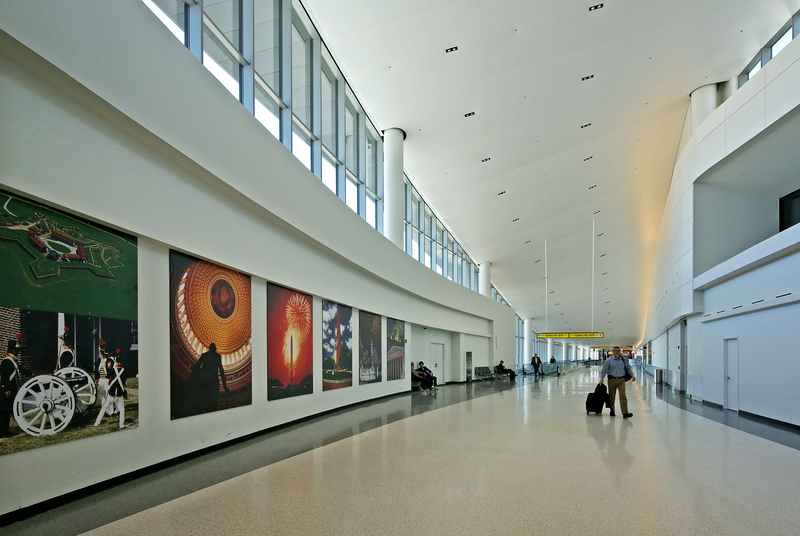 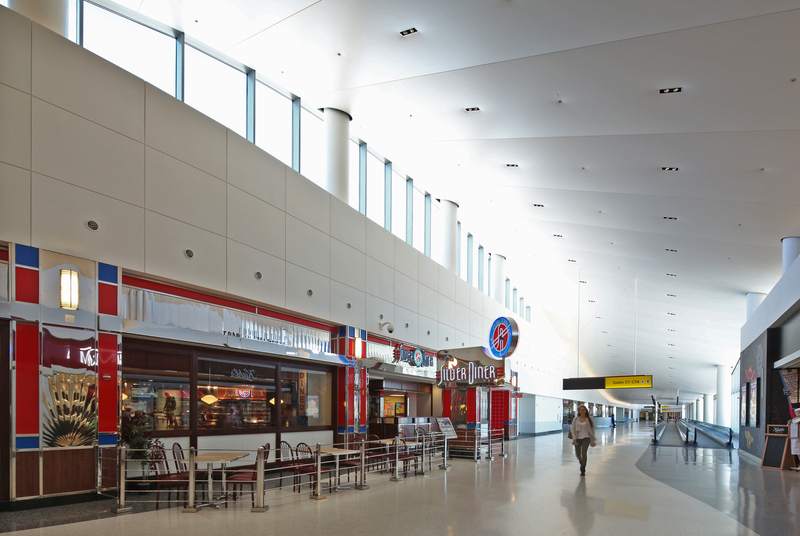 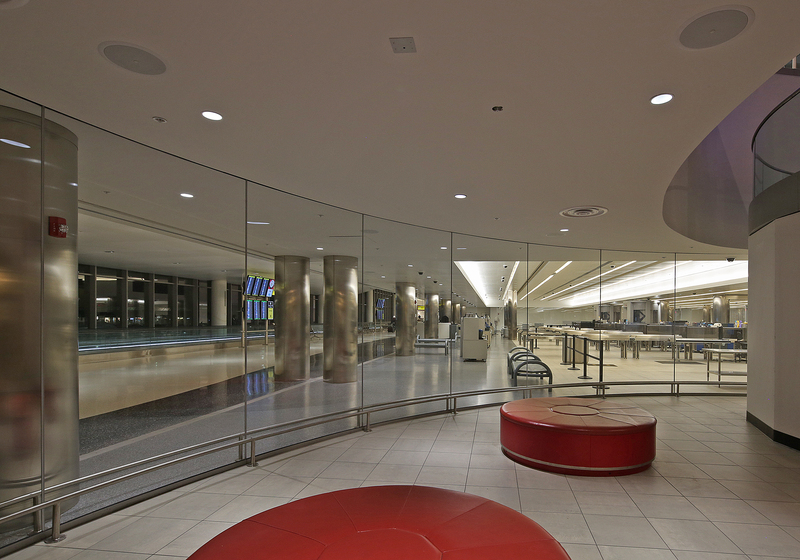 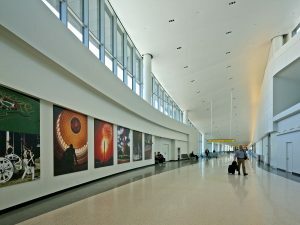 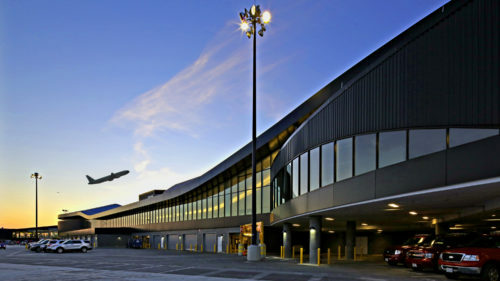 Several elements contributed to the success of this project, which was needed to accommodate the Southwest Airlines-AirTran Airlines merger that brought increased business to that section of the Airport. The heating, ventilating, and air conditioning (HVAC) system included interior and exterior air handling units for the expansion, as well as air handling units to serve the renovated area. The HVAC systems were tightly integrated into the overall architectural statement of the connector. 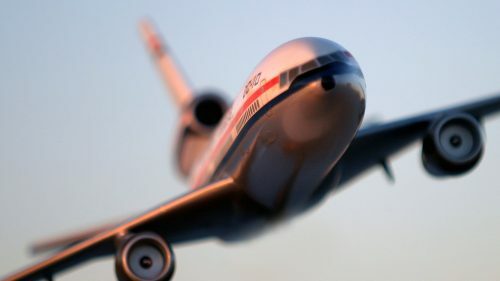 JMT’s engineers applied a computational fluid dynamics (CFD) model of the airflow within the connector to predict the performance of the HVAC system. The CFD model took into consideration the large architectural volume created by 30-foot ceilings, large exterior glass walls and a polymer fabric type ceiling. The resulting air distribution system was optimized by selecting the configuration which met both the performance requirements as proven by the CFD model as well as the architectural aesthetics of the space. 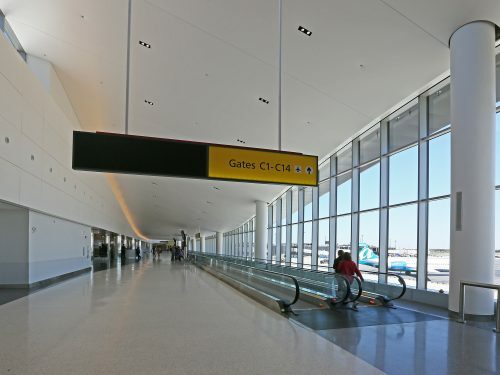 A total of 105,000 CFM of new VAV AHU’s were added. 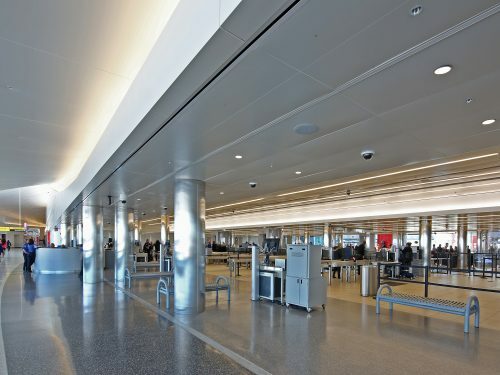 JMT designed the electrical requirements for the project to provide reliability to the power system, assuring that critical operations such as life safety and TSA security remained in service in the event of a power outage. 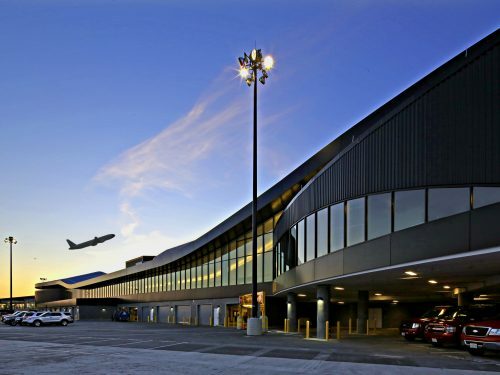 Part of this design included a new 900-kilowatt emergency generator set with a sound-protected outdoor enclosure, integrated fuel storage tank and load bank. 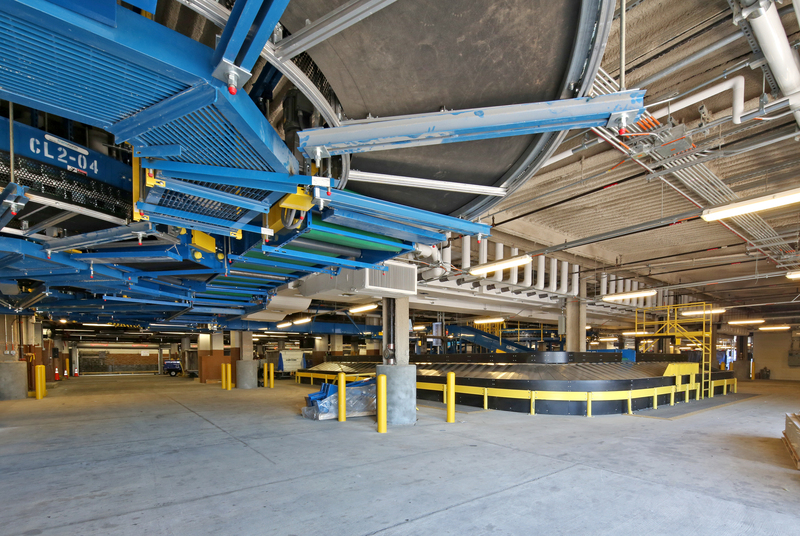 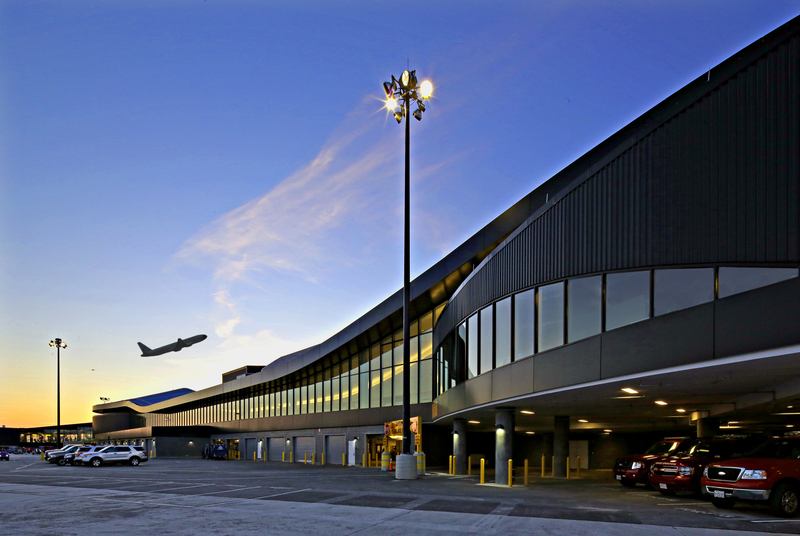 JMT’s design focused on keeping safety and reliability at the forefront and included a new 4,000-amp double-ended medium voltage secondary selective sectionalized power distribution system to provide the required power to the expanded terminal and concourse. 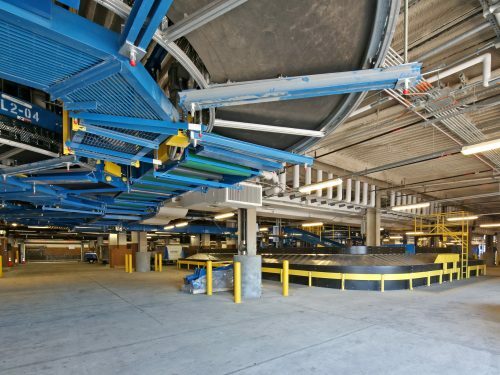 The power distribution system – consisting of a switchboard, panel board, dry type transformers, conduit, and wiring and other associated electrical items – was also integrated into the overall renovation with an emphasis on maintaining NEC code compliance of the electrical system, as well as coordinating with the mechanical, architectural and structural systems. 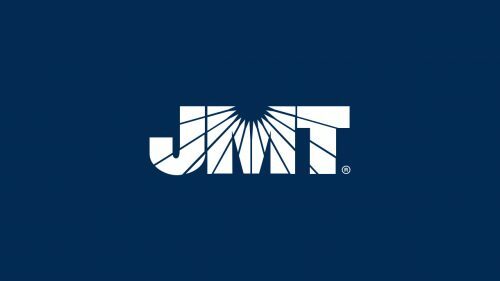 Taking initiative with saving energy, JMT designed a new interior lighting system to use high efficiency LED fixtures that were selected specifically to accommodate low maintenance requirements. The lighting system was designed with emergency power to provide life safety, as well as a connection to the building control system, allowing for automatic switching to reduce energy consumption when adequate light was available. The exterior lighting system serves the apron/tarmac area of the airport, with both new and relocated high mast pole-mounted fixtures.